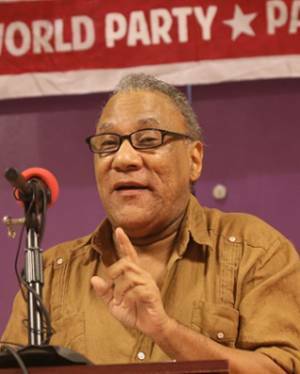 Part 1 of a May 6 talk by Larry Holmes, first secretary of Workers World Party, at the meeting “[email protected]: Class Struggle in the Age of Trump” in New York. Arguably, socialism has never been more popular. I’m not saying it’s not debatable, but that’s what some people think. And capitalism has never been more unpopular. This is good news for all of us who dream about and work toward socialist revolution. But in order to realize the potential of this, we must confront some ideological problems. They’re not problems you can blame on this or that leader or party, or even this or that event. They’re more general than that. Karl Marx didn’t call for reform — he called for revolution. He believed capitalism could not be reformed. He believed capitalism was not only inherently oppressive, based on the exploitation of labor, that it pauperized the workers and even more the oppressed, but that the system was inherently unstable. It might go through periods when it seemed to be stable, especially for ordinary workers. Sooner or later that would come to an end, and instability would come back with a vengeance. So what happened? 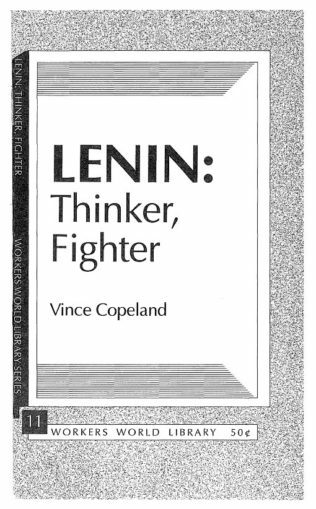 I think we ought to sharpen our view of the development of revolutionary Marxism over the last three-quarters of a century, not only in this country but around the world. It’s been problematic. It’s reached some barriers, some walls, which it has not been able to overcome yet. But that’s temporary. With our help, and that of millions of other revolutionaries, we’ll get over those barriers. After U.S. imperialism gained world dominance when it came out victorious in the second imperialist world war, it ran all sorts of global networks, institutions, projects and ways of thinking that are under attack now because of the crisis of capitalism. In the working-class movement, in a general way, there was a reassessment of the situation. The general thinking of the working-class movement was that now U.S. imperialism is so dominant that capitalism is probably going to be around indefinitely. And probably we’d be dealing with a system that appeared to be stable. And so what we were fighting for would be affected by that. It’s not that everybody came together and decided this. It was more abstract and uneven than that. But it’s nonetheless true, with some exceptions. What happened was that the struggle for revolution abated, and the struggle for reforms became an end in itself. From a revolutionary point of view, the struggle for reforms is just a strategy toward the struggle for revolution. We’re not against the struggle for reforms, for immediate demands — we’re all for that. But that became predominant. Then eventually, as we could have told anybody, it became clear that capitalism had sunk into a deeper crisis. Globalization, technology, austerity — some call it neoliberalism. That’s actually just another word for saying a violent stage of unstable capitalism. And all the attacks that came with it: union busting, more racism, more sexism, more oppression. When that happened, because of the orientation of a large section of the working class, including forces that considered themselves socialist and communist, they didn’t know what to do. Their work and their perspective was based to a large degree on the stability of capitalism. But all of a sudden they didn’t have that anymore. We have to talk about this a lot more, but not just talk about it as if we’re polemicizing with somebody. We have to try to do something to change this perspective. Our struggle — and it’s been our struggle for a long time — is to try to reset the working-class movement. However long it takes, and whatever needs to be done to accomplish this, we have to work hard as revolutionaries to reset what the main objective is. Fighting for immediate demands is great. All of the tremendous struggles that have taken place — you can’t take anything away from them. They’ve been valiant; they’ve been brave. But we’ve got to put revolution back into the equation, because that’s what is necessary. Our program cannot be limited to immediate economic demands. It has to be more revolutionary. It has to address political demands, like stopping imperialist war. Like supporting the struggle of the oppressed. Like supporting Black Lives Matter — that’s a working-class issue. That’s not some marginal issue. Supporting the struggle for women’s liberation, the struggle for the liberation of LGBTQ people, the struggle of immigrants. These are not marginal struggles on the side. They are at the center of the working class. There are some in our movement who say that these issues are diversions, that they’re not really working-class issues. And even worse. Some say that that they’re the reason Trump got elected. We must argue with them. We cannot tolerate this kind of thinking, because it’s wrong and it’s disuniting. These are working-class struggles. Marx’s view of the working class was for everyone to come in — all the issues, all the struggles. Not for some to be pushed to the side: This one is important, that one’s not. That’s not a revolutionary view, and it’s not a Marxist view. Marx’s view was that the working class got bigger, not smaller. Not only because of the legions of oppressed people who joined it. You cannot say that Marxism is Eurocentric — today the working class is mostly the oppressed of the world, not only in Asia, Africa, Latin America and the Middle East, but right here and in other imperialist centers, if you look at the demographics. Why do you think so many racists and the bourgeoisie are flipping out? Because the oppressed are taking over. Capitalist crisis forces other social elements into the working class, not the other way around. People who thought they were going to be petty bourgeois or even bourgeois are forced into the working class. A lot of the educated young people whom we run into, not only in our daily lives but in the political movement, might have had some big ideas about what they were going to do with their education. Now they can’t pay their loans, and they’re forced to work in the gig economy, to take all sorts of precarious jobs with no security, jobs that don’t last. That’s why people have to constantly be leaving and getting new apartments. And these are people with degrees — some of them with two or three degrees. Yes, you need to get to other sectors of the working class who are more oppressed because they are in need of your solidarity. But you are workers. You are not some middle-class abstraction that no one has defined. So stop looking at each other and wondering what you are. You’re the working class, and you know what? The revolution needs you. It needs what you know. And it’s a big plus on the side of the working class that we have you.